Fresh from re-reading 'Jane Eyre', I wanted to indulge in experiencing it again through film. It's a story that has been retold so many times as a movie (and is likely to be so again). I had a lot of versions to choose from! But I settled on the Masterpiece Theatre production due to its great reviews. I was not disappointed. Brilliant casting and glorious landscapes were the least of it. They filmed in places from where Charlotte took her own inspiration! Ruth Wilson stars in this adaptation of Charlotte Brontë's classic gothic romance. No Jane Eyre movie is ever going to be better than the book. It would be impossible even to equal it. If Charlotte Brontë was bundled into a time-machine and taught how to write and direct a screen-play, the film would still not be as good as that novel written back in 1847. Now we have that out of the way, let me say that this adaption is probably as good as it gets. Masterpiece Theatre had a large budget with which to get it right. The attention to detail shown in costume and make-up earned the company several BAFTA and Primetime Emmy awards. There were nominations in several other areas, not least a best actress one for Ruth Wilson in the title role. There are great sweeping views in this movie. It's all filmed in Brontë country, up on the Yorkshire Moors and Derbyshire Dales. The scenery alone makes this a movie worth watching. But it also demonstrates a great deal of knowledge on the part of the location crew themselves. Charlotte Brontë's friend, Ellen Nussey, described how they visited the Eyre family at Hathersage Hall, in Derbyshire. Charlotte was writing Jane Eyre at the time and many distinct details from the house made their way into her novel. Jane Eyre (2006) is filmed in part in that very same hall. Director Susanna White didn't have to create an authentic backdrop, because she took us into the very places where Charlotte found her own inspiration. The moors which Jane stumbles across are the very moors that Charlotte had in mind. Where such locations could not be simply co-opted into the production, replicas have been sought and used. The overall effect is wonderful. Of course the book is better. It's always going to be better! Buy a copy now, so you can enter the discussions with confidence; and so you get to read a fantastic tale. This is one of the world's most classic novels. I'm assuming that the majority of you won't even need this! For those unfamiliar with the tale, here is a quick introduction. 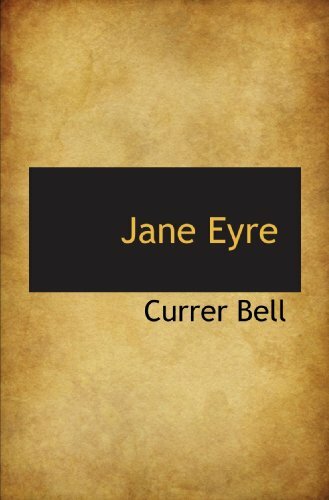 Jane Eyre is orphaned as a baby and raised, until she's ten, in the abusive home of her aunt. Then she's packed away to a boarding school, which frankly isn't much better. It takes the death by typhus of most of the pupils to improve conditions there. Jane grows into womanhood and leaves to become a governess in a stately home. There she meets the man of the house, a moody, disdainful individual named Mr Rochester. He has secrets of his own, but Jane's not at liberty to discover them until it's too late. She's solely there to tutor his ward, another orphan girl named Adele. Slowly Jane and Mr Rochester fall in love. But the path to blissful married life never did run smoothly; and there are many who don't see her as suitable bride material at all. 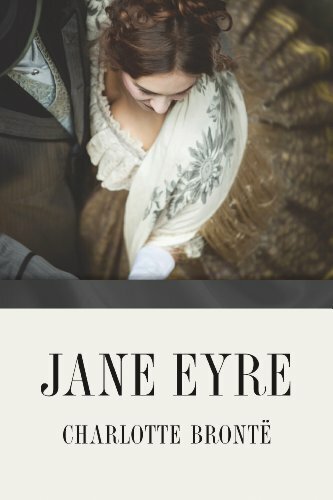 How Faithful to the Book is Jane Eyre (2006)? There's some artistic license, but overall it's closer to the canon than I was expecting. I admit that I was worried that this miniseries would reduce the story to a romance with bumps along the way. There is an emphasis on the relationship between Jane Eyre and Mr Rochester, but it's not merely a tale of older man meets girl. Yes, the romance is all there and intact, but the story is and remains even bigger than that. On the whole, it's easier to say what is different than what stays the same. The story does follow the novel with a loyal precision. The first major diversion is the weighting. We do see a lot of Jane's childhood, at Gateshead Hall and at Lowood School, but not as much as in the book. Also the third major arc (involving the Rivers family) is downright rushed. I felt that the nuances of the tale were largely lost as soon as St John Rivers appeared on the scene. Susanna White took the most liberties here too. Short cuts were engineered, so that this whole segment could be skimmed over. Instead, much of the action takes place during the Thornfield part of Jane Eyre's story. That's fine. That's the part everyone loves anyway. The second biggie was Adele. In the book, she's only four years old. The actress playing her is much older. However, this is also forgivable. It would be difficult finding an infant, who can sing, dance and learn a script to that extent, let alone one who is fluent in French and English. Once I'd got over the shock of Cosima Littlewood being a few years older, I simply accepted it. She makes a very believable Adele. Finally, the gypsy scene is slightly altered. It changes nothing major, except that we don't get to see Mr Rochester in drag. The charades game is swopped for a session on a ouija board. Mostly the changes are those of omission, particularly in the early and penultimate sections. For example, we don't get to see a bedraggled and starving Jane begging in the streets of Derbyshire. As a great fan of the novel, I was happy with this adaptation. Not everything can make it into a four hour version - and you will never get the inner thoughts without over-using a voice over - but it maintained the spirit of the story. 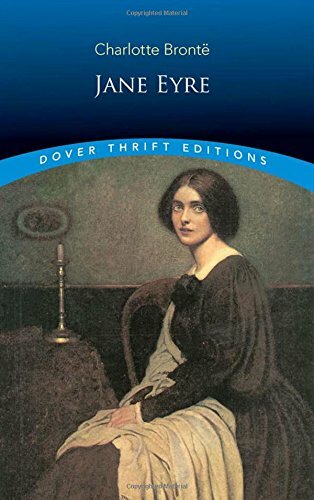 I'd recommend it to those who love Charlotte Brontë's Jane Eyre. 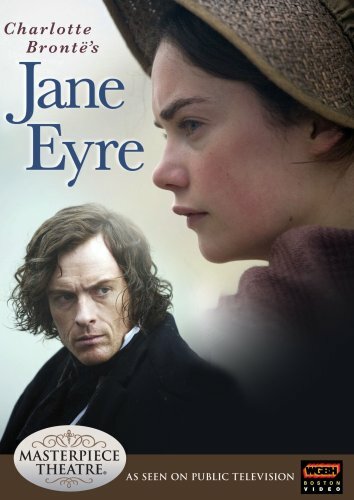 Did You Enjoy the 2006 Miniseries of Jane Eyre? The characters were really believable not over the top caricatures like in some other adaptations. The movie drew me in so I almost felt I was indeed reading the book. That is very rare for me. Ruth Wilson was so perfectly cast as Jane Eyre. I have altered my mental image to actually have her as Jane in my head now. Exactly the same film is included in this DVD box set, but there is more! Ruth Wilson, Toby Stephens and other cast members provide interviews. They discuss their motivation in their roles, while also giving candid details about filming. There is also a commentary to watch, as you progress through the movie. For those who can't get enough of a fix, then the deleted scenes will provide yet more glimpses into the lives of Jane Eyre and Mr Rochester. 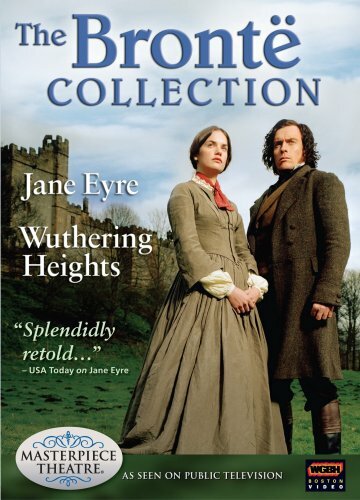 Finally, there's an adaptation of Wuthering Heights, which was written by Charlotte's sister Emily. Oh! To have been a fly on that wall! They were sitting in the same room writing their respective masterpieces! Well, what did you expect with such a strong, female lead? Most movies fail the Bechdel Test. You'd think that they wouldn't, but they do. It's a simple, three point examination, which assesses how well female characters are portrayed. To pass, you need to have more than one named woman or girl. Jane Eyre has no problem here. There is a whole cast worth of them! They have to have a conversation with each other. There are plenty of those in this movie. Jane herself speaks with everyone from her aunt to the housekeeper to the Rivers sisters. Then comes the moment when the majority of scripts fall flat on their metaphorical faces. That conversation has to be about something other than a male character. Yes! Jane Eyre comes up trumps! She has a disturbing discussion with her Aunt Reed about her conduct and schooling (then later one about her childhood and family). She has scenes with Adele (and later her school pupils), which discuss learning. She has another with Grace Poole about safety in the home. They are small and scattered throughout the movie, but they are there. I've even discounted all of the conversations that mentioned God, on the basis that she would have considered him male. So yes, indeed, Jane Eyre does pass the Bechdel Test with flying colors and a lot of leeway. This is more that can be said about seemingly obvious contenders, like The Hunger Games, which barely scraped a pass. This story has been around long enough to have a lot of memorabilia built up around it. I agree that Toby Stephens did an amazing job. I totally believed that he was Rochester, but he didn't go over the top with the broody Byronic hero stuff. I've since read other reviews that whinge about Toby not being 'ugly' enough, as we're repeatedly told that Rochester is. That leads to some truly disturbing debates along the the lines of 'yes he is ugly' or 'no he isn't ugly'. It would be very hard to cast an ugly person, on the basis that I'm yet to meet anyone who I'd deem ugly on looks alone. To me, beauty and ugliness comes in actions, not skin. Thank you for your comment. Ruth Wilson was absolutely perfect in the role, wasn't she? I also saw and loved the BBC version of Jane Eyre. As JoHarrington said, Ruth Wilson was perfect for the role. You did a great job with this review. Now I want to see it again. You know, it might just be that one. I found it on YouTube!! I wonder if it was the version with Susannah York in it? That's the one which many see as the classic adaptation. I can't remember if I read the book back in my high school days, but I remember an excellent, powerful film adaptation that I watched before 1989, back when TV programs ran for a few hours a day in the evening, and the best you could hope for were cartoons on Saturday, a Teleencyclopedia on Saturday, and adaptations of classic novels. I went on imdb to see which film I did see, but cannot seem to be able to find it . . . It bothers me that I can't remember. :-) That film stayed with me. Ah! Ok! I misjudged the class somewhat. :) I'm not a big one for exams and tests being education. They're not. They are just the bit at the end, which tells people where to pigeon-hole you. But if you were getting the discussions and analyses, then it's all good. It was learning. The class was amazing, it really was a survey of lit class, it had a unit on epics, poetry, classic novels, Shakespeare, drama, short stories, ancient stories, and I read it all, and I loved it. Most were books I'd probably have never thought to pick up. There were discussions and assignments to go along with them, but it was like you could easily pass the quizzes if you just showed up and watched the movies, at the very least. It is just unfortunate that the teacher had given up on caring, because I could tell from talking to her after class about what I was reading that she loved this class and had high hopes for it when she put it together, and there could have been some really great discussions.